"It's always something." (Gilda Radner as Roseanne Rosannadanna) Every day that we show up at school, ready to learn, is a cause for celebration. "...and everywhere was a song and a celebration." (Crosby, Stills, Nash, & Young. Woodstock, baby.) Seriously, teachers, we can find something to celebrate in class every single day. The biggest celebration, of course, is when the imaginary light bulbs flash with new learning, with a newly converted reader for life, budding author, artist, mathematician, researcher, or maker. As teachers, we are part of those amazing moments all year long. And yet, if we seek other celebrations to bring a learning theme to our students, the calendar is filled with them. Here's year-long resource for an author birthday focus every month. Read Across America Day was originally conceived to celebrate the birthday of Dr. Seuss. You might have been wearing out your "Cat in the Hat" striped chapeau for all the Marches for as long as you've been teaching. Maybe your school focuses on Dr. Seuss, or maybe you just enjoy that celebration in your classroom. Maybe your own teacher tied a red bow around her neck every March, and the memories are filled with warm fuzzies. Or...maybe...you are ready for a new idea? Did you know that Leo Dillon's birthday is March 2 also? With his wife, Diane, Leo Dillon was the author/illustrator of forty beloved children's books. 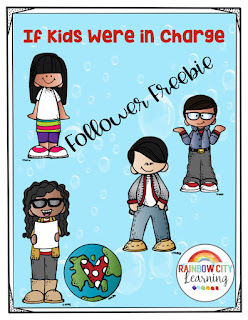 Many of the books will bring the concepts of diversity and world peace into your classroom. What a beautiful segue from February is Black History Month! 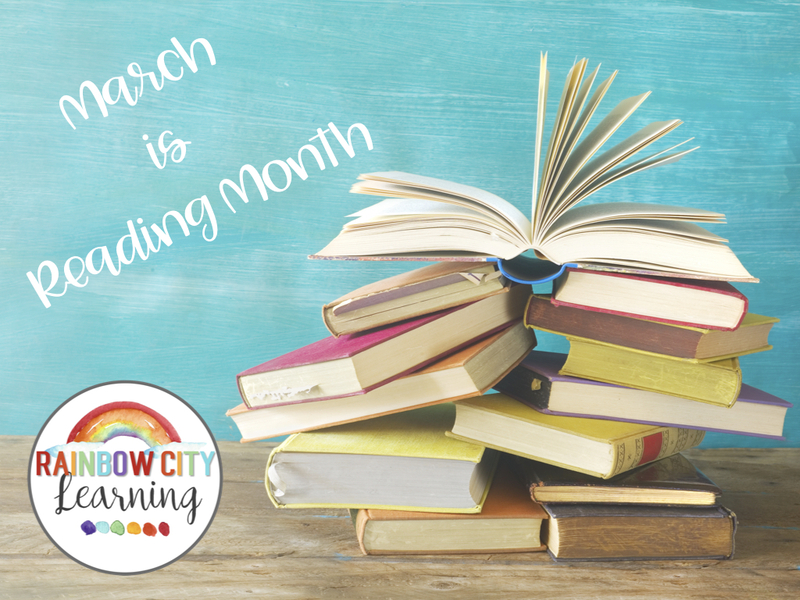 Why not kick off March is Reading Month this year with a fresh focus? A favorite Dillon book of mine is If Kids Ran the World. My students were so fortunate to have the chance to meet this gentle and lovely couple before Leo's death in 2012, when they visited our school. The mentoring for our future authors and illustrators was off the charts! 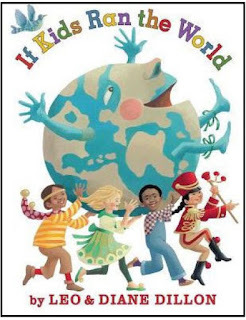 If Kids Ran the World was the book they were working on at the time of Leo's passing. In addition to the beautiful illustrations and words showing how the world would be a better place if we all cared for others in the way these children do, this book effortlessly becomes a mentor text. 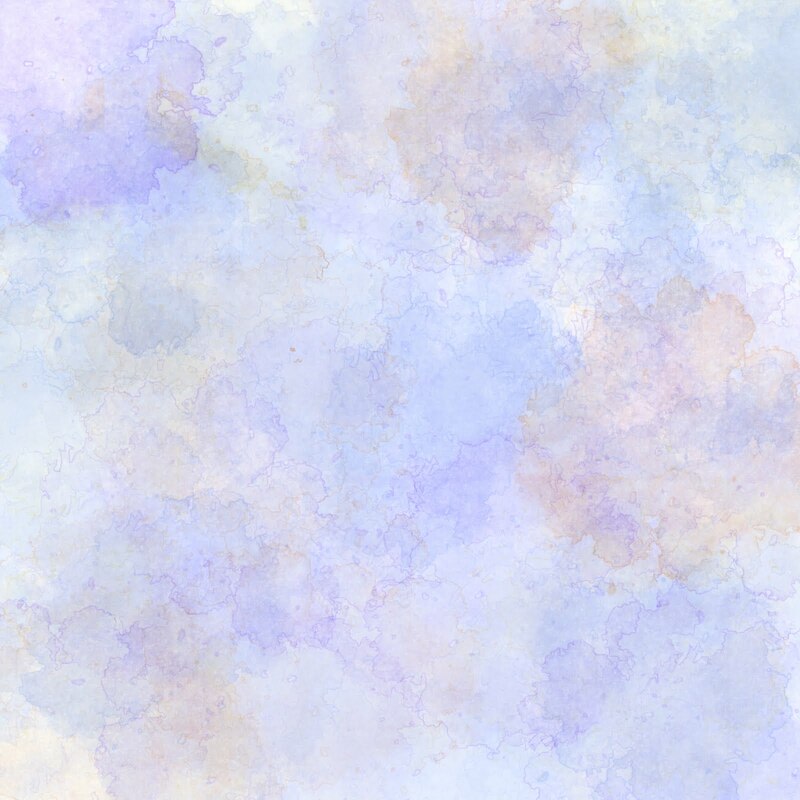 Sign up for my newsletter (pop up when you enter this post - You may need to refresh!) before March 1, and I will send you a follower freebie showing how to use this lovely book as a model for writing. Already on my mailing list? Check your inbox on March 2! Happy Birthday, Leo Dillon! Some other authors whose work will make for great sharing and inspiration any time of the year: Patricia Polacco, Eve Bunting, and Jacqueline Woodson. These are a few of my favorites, and my students have enjoyed many lessons for reading and writing led off by the works of these writers. Try The Bee Tree by Patricia Polacco to see how the author's own mother was encouraged to love reading! Share a read-aloud of The Wretched Stone by Chris Van Alsburg to prompt a discussion of all the things we might enjoy if we give up a little screen time. In no way should this be confused with a clean your desk, grade papers, and enter data day. Wipe that thought from your mind. It's tempting for sure, but a read-in day where you participate right along with the kids is a golden opportunity to encourage a lifelong love of reading (like yours!). Only you can be the role model for that in your classroom. Sleeping bags, blankies, jammies, and pillows optional! My kids always liked making little fort areas under the desks for uninterrupted reading bliss! Ask your students to bring in their Radio Flyer or Little Tykes wagons to use as float carriers for a Parade of Books! (Think Macy's Thanksgiving or Disney any day, or The Rose Bowl Parade, but with books!) Kids work in teams to create a float display (think giant diorama!) of a book. The team members dress as some of the characters as they accompany their float in a parade for school and community! Create a display with a fun place to leave comments/reviews about a book that the class shared as a class novel, book club choice, or read-aloud. Place a book cover in the center of the display, and kids write comments all around. 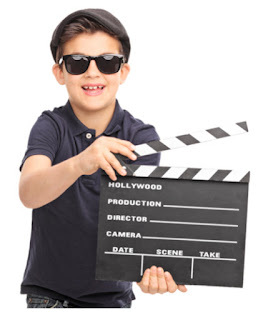 Examples of fun places to leave comments: black construction paper with colored chalks, small white boards with wipe-off markers, plexiglass with window markers, fabric with glitter pens. I know your kids can help you think of more! That's what we called ours, anyway! 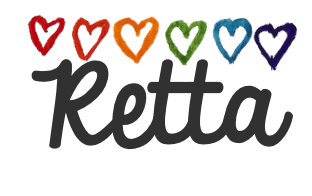 Start a weekly or monthly newsletter or blog section where kids can review books they have read and loved. It's a great resource for your students to clip and keep on hand for when they are browsing for new books to read. 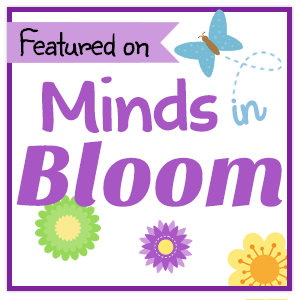 I loved sharing ideas for March is Reading Month with my podcasting friends, Tracy, Deann, and Kathie. 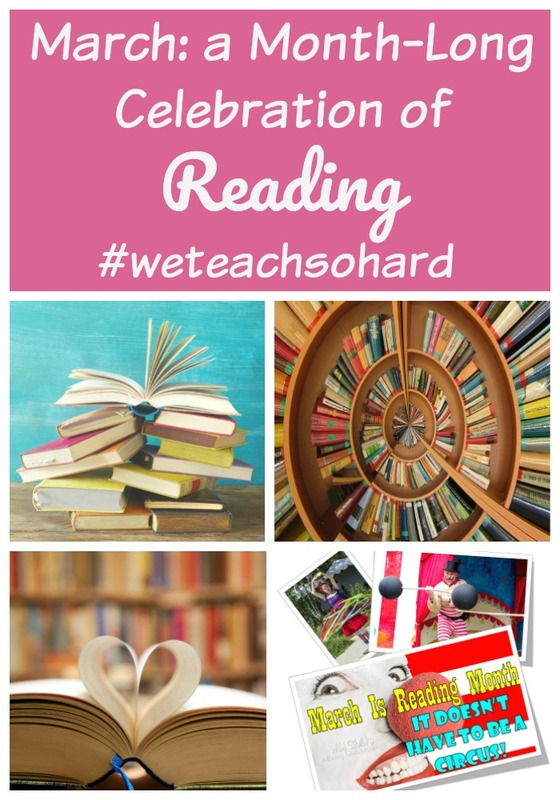 Tune in to "We Teach So Hard" Episode 28 to hear what we came up with! Happy, happy March! Hope you get to read something you love this month, too! Tick-Tock - The clock is ticking on a huge site wide sale on TpT! The best strategy when shopping the TpT sale is to stock up on bundles. Already discounted before the sale, they are discounted another 20-25% during the sale. (Don't forget the code TICKTOCK at checkout!) Save even more by leaving awesome feedback as you buy and using the credits you earn for another purchase, and another, and - well, you get it! I hope you signed up for my email list when the box popped up here. (If not, refresh and do it!) I will be sending a shorter but very usable version of my newest resource on March 2 to all email subscribers as a Follower Freebie to say thanks! 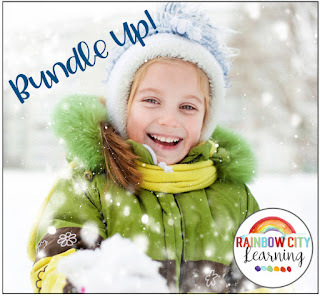 Visit my Facebook page and comment on the gift card post for a chance to win a $10 TpT gift card, and your favorite Rainbow City Learning resource! Enter the Rafflecopter below for a chance to win a $100 TpT gift card from The Best of Teacher Entrepreneurs Marketing Collaborative. Soooo many ways to make the most of this sale! I showed up for my first day in fifth grade, dressed pretty much as the model above. Just change everything red to everything avocado green and add a suede belt. Substitute pearls for the gold necklace, and lose the glasses. Done. I sashayed through the door of room 214, ready to share wisdom with my attentive and eager students. As the minutes and hours of that first day wore on, it became clear that there would be no bending over a desk or sitting on the floor in that mini dress. No air-conditioning, and the pearls just made me sweat. The less than eager students, bummed to be back in class after summer, were challenging, to say the least. And I was not dressed in a way that would allow me to do all I could to become a great teacher. It took some time (and money) at first to convert my dream teacher wardrobe to one that would work for me in a real life classroom, so at first I continued to dress in a similar way, minus only the pearls. With a virtually unpronounceable last name, the students took to calling me "Miss Baby Doll". They said that I looked like a Barbie doll, and I took it as a compliment. Sort of. My wardrobe kinda did look like Barbie's. The above pic was taken at my friend's wedding the week I started teaching. Somewhat Barbie-like. Sooo many mini skirts. Go go boots. High heels. For years, I believed that I was tall. I was eye to eye with every 5'9" teacher that I worked with, so obviously I was imposing, tall, and powerful! Perception is everything. Imagine my shock when the failing discs in my spine the last few years of teaching sent me to wearing flat shoes. I felt like I was standing downhill from absolutely everyone. Really. Kept checking the floor to see where the slant began. And yet, as I have Kondoed each item from my teaching wardrobe over recent years. (Way too recent - I keep EVERYTHING! 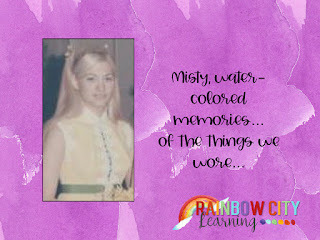 ), I really meant it as I thanked it for its service and brought up memories of classroom adventures while wearing each one. The decorated sweatshirts during the big hair years, the thematic teacher sweaters - my favorite was the one with appliquéd gift packages and ribbons. The additional badge on that one said, "Each day is gift - That's why we call it the present." Love. Thank you for your service. The purple dress that I wore so often that a talented student made a sign for my door with my name. On each letter danced a tiny version of me in my purple dress. Love you, Danny. And love you, purple dress. Thank you for your service. Back to New Teacher Ville. I eventually found a great compromise that would allow me to get a little more use out of the minis and also allow me to remain employed. Just. Add. Pants. Bought a half dozen pairs created by my favorite ladies at the time, Polly and Esther (polyester). Black, navy, brown, purple, red, and green. Got dressed as usual for work, and then just slipped on a pair of pants before I headed out the door. By the time I discovered this life changing magic, I was teaching second grade. My wardrobe innovation allowed me to squat, bend, and criss cross applesauce with the best of them! A local tv reporter decided that my classroom was the perfect backdrop for her stories about school or kids, and showed up without warning. My mother enjoyed no longer being embarrassed when she spotted me on the news at 6. Totally covered, still tall (hadn't given up the heels yet! ), confident, and competent. Back to that Gift sweater and its friends. 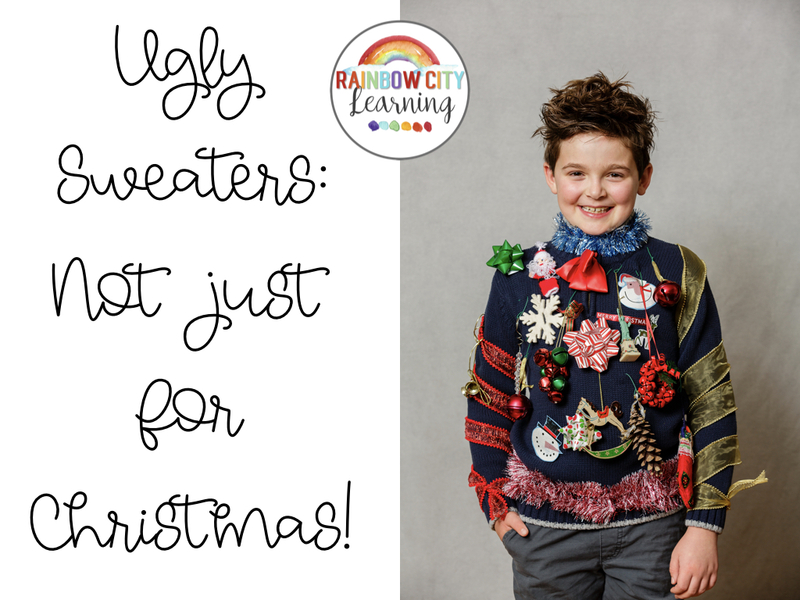 Thematic sweaters and jumpers (Dresses with straps that we wore with a shirt, tee, or sweater underneath. - translation courtesy of the 90s.) Every teacher I knew had a few of those thematic clothing items, some embracing the trend more than others. I was all in. Like Ms. Frizzle, my outfit often signaled what we would be learning that day. If I didn't have exactly the right thing, I would be up until the wee hours, appliquéing, glitter-gluing, and bedazzling until I had the effect I was seeking. Some of these fashion choices did get that discussion moving! 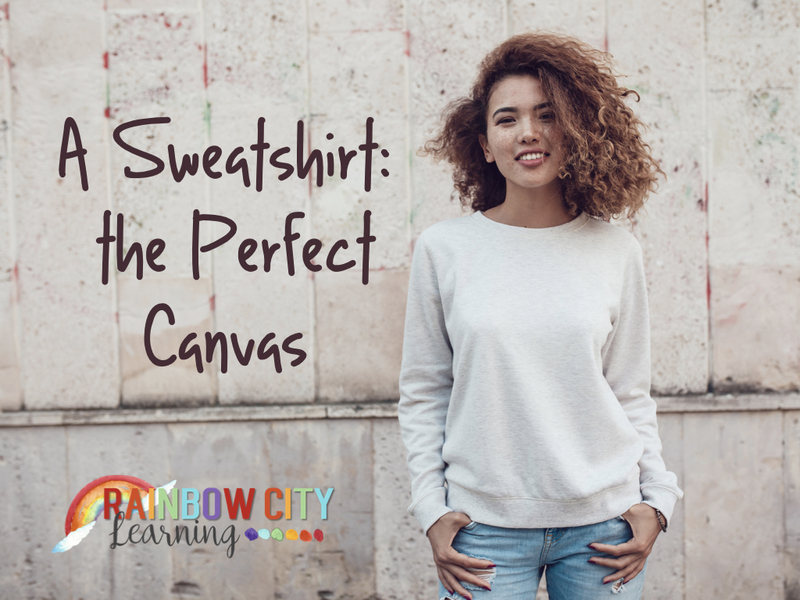 It wasn't long (The 80s, I think) before I discovered that a sweat shirt was a perfect canvas. 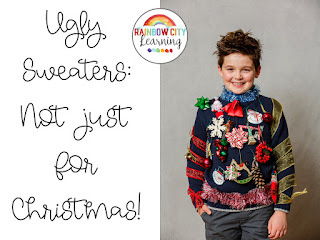 I made so many outfits for my daughters and myself, adding paint, appliqués, skirts, ruffles, and ribbons to one basic sweatshirt after another. My daughters wore these to school with tights. I added pants or a skirt, and voila! Easy dressing, and relatively easy mornings getting everyone out of the house to start the day! 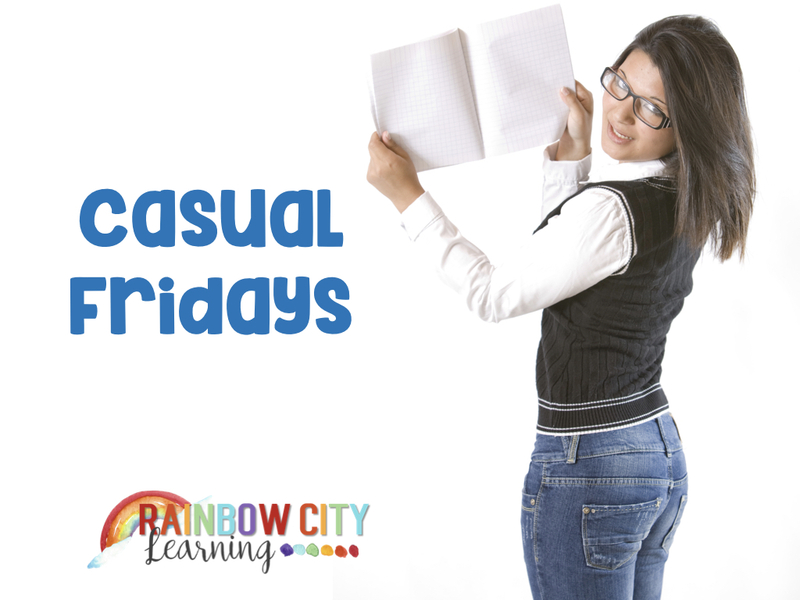 Aaahh.... Casual Fridays! Jeans Day! I can still feel the excitement when we, as a staff, could donate money to a worthy cause in exchange for being allowed to wear jeans to school on Fridays. It wasn't a given. Pay up or dress up. Only contributors to the cause were permitted to wear jeans to school. We checked on each other, and felt so good about the contributions we made. I'm not sure when pay to play for jeans day fell away, but it did! Teacher clothes have become increasingly casual as the years have passed. With so much to think about, and so many balls to keep in the air these days, I get it. Just get dressed and show up. So much to do! And finally, the teacher fashion trend that has happily followed me into retirement like a faithful and adoring puppy. Yoga pants are so versatile! 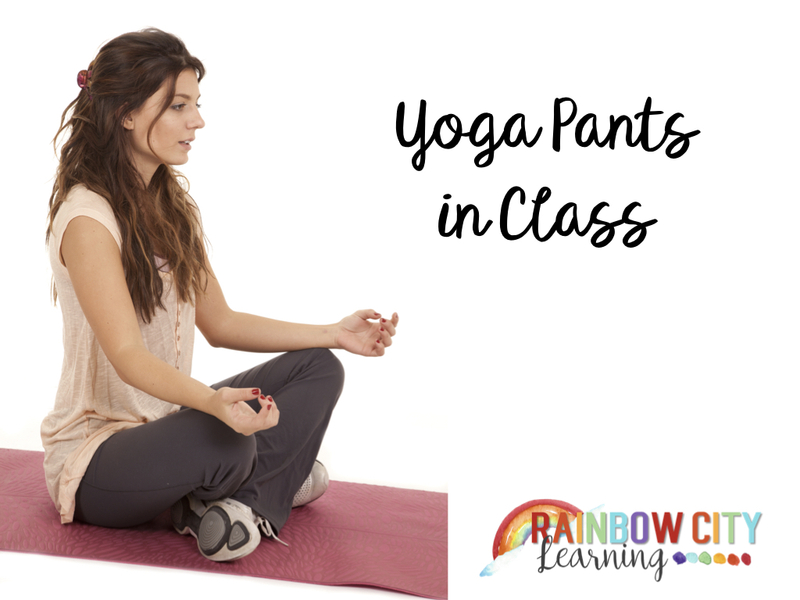 A good pair of black yoga pants (not tights or leggings - pants) can take you from the yoga studio to class to meetings or to dinner. Just make sure that the top part of your outfit is appropriate for the occasion, and you are all set! 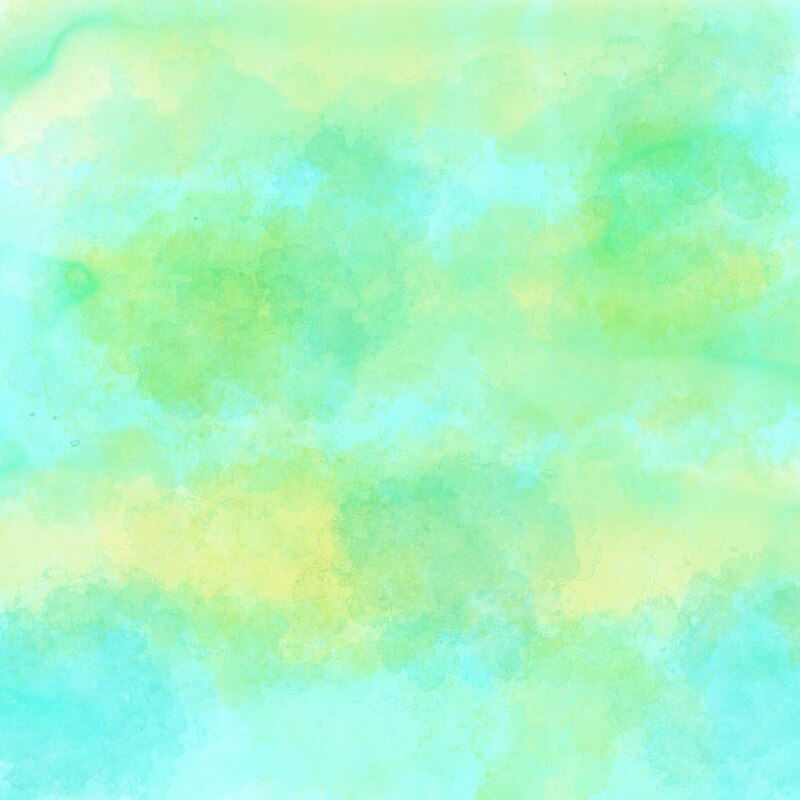 The last year that I taught, there was a yoga class that I liked to attend. It was close enough to get to after I finished my school day (two hours after the kids left), but not close enough to allow for changing time. I had a dozen pairs of black yoga pants, all exactly alike, and wore them every day. Every. Day. 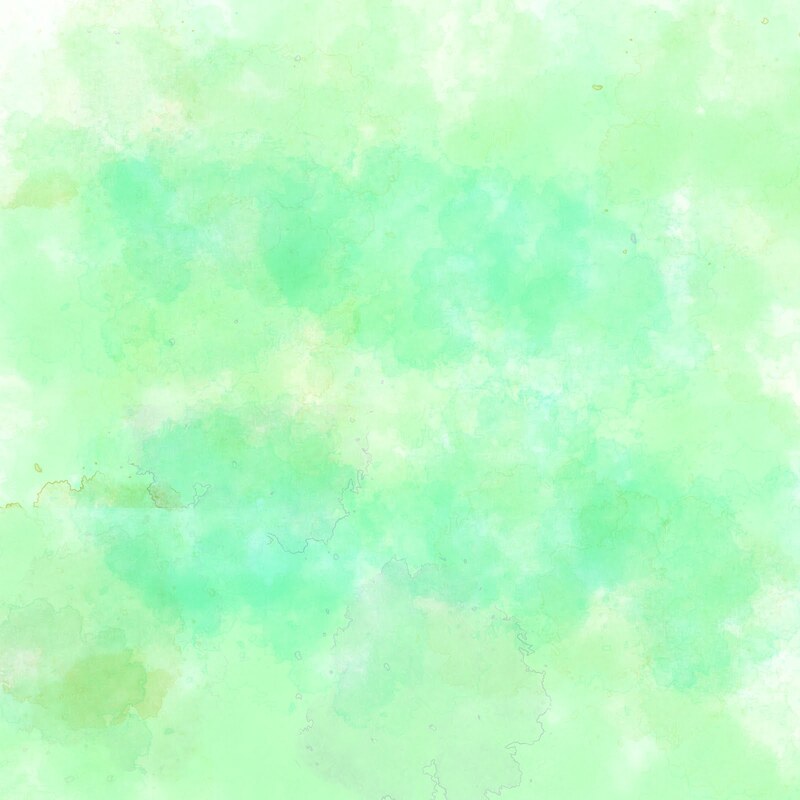 Not sure if anyone noticed, because I added shirts, sweaters, tunics, jackets, etc. I'm positive that the final look was professional as well as comfortable. And no zippers or buttons for those quick restroom visits? Teacher gold! 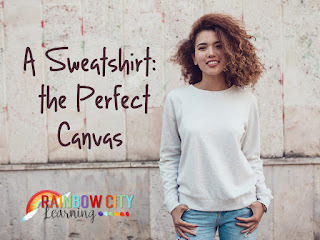 I'm wearing yoga pants with a tee shirt and sweater now as I write this post. Yoga pants: my favorite teacher clothing innovation of all. Yoga pants, thank you for your service! 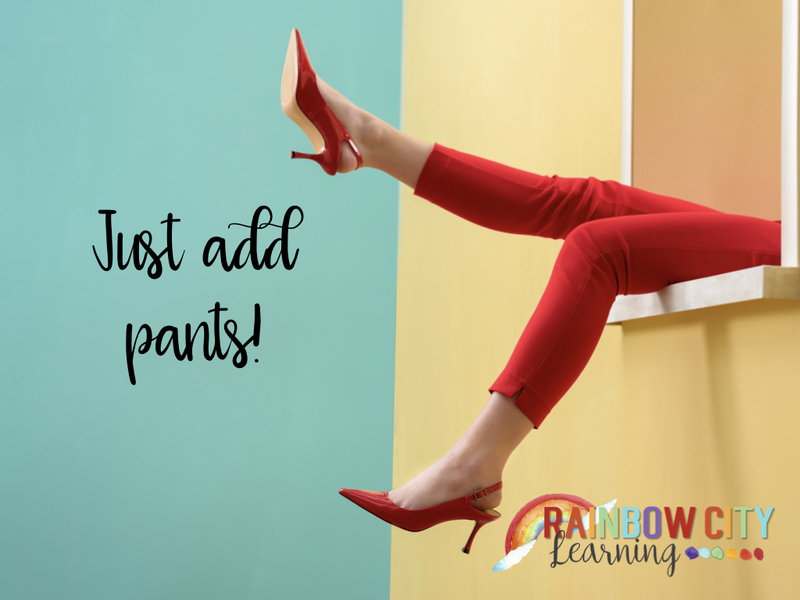 I would love to hear from you about your favorite teacher fashion trend during your own career. Please add your response in the comments below! 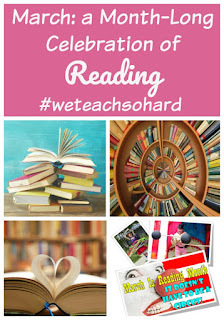 I had so much fun discussing this very issue with my podcasting friends on We Teach So Hard. I Hope you'll join us there on iTunes, Google Play, or Anchor. As we turned the pages, each one beginning with the words, "Have I ever told you..." or "Have I told you...", and she answered in her sweet and bell-like voice, "Yes, you have!" or "No." or "Just now! ", my mind was buzzing with the reach of this idea far beyond a bedtime story. What a beautiful read for February, this month of love, this month of remembrance, of honoring the achievements of African Americans, of looking forward to honoring the achievements of women in March. If I still had my classroom, I would definitely be dancing down the hall with this one this week, ready to share with my class! Yeah, I love sleeping late and not even worrying about snow days, but I would give it all up to share this with some kids! As many as possible, so teachers, please help me out with this! Each page reaches deep within your soul and far beyond your own existence to all the possibilities that just being human can offer. It lets the child know that he/she is special, loved, can be anything, and should reach out to others on so many levels. It reminds with each new page that as teachers, as parents, and grandparents, aunts, uncles, caregivers and keepers of kids in any way that rings true for you. that we teach what we are. We teach what we are. The kids are always watching and listening. The best things we can model are love and compassion for others. No fancy props or complicated lesson plan is ever necessary for this. 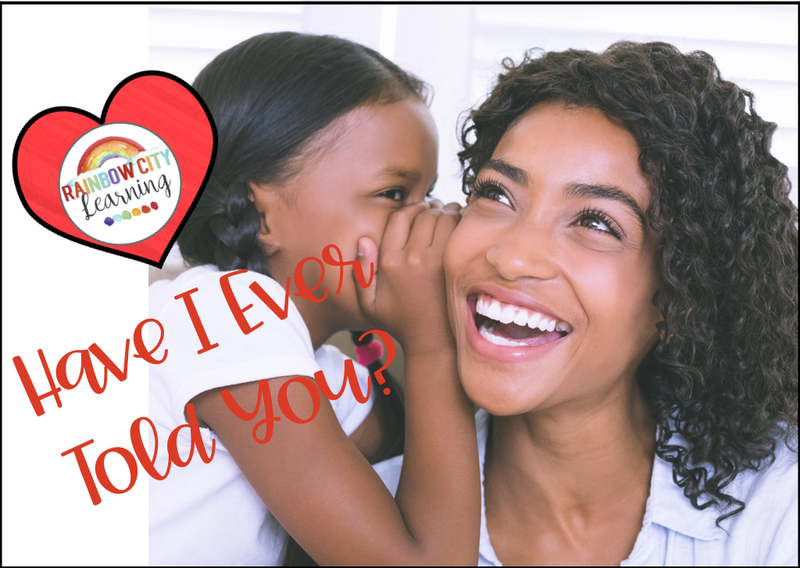 You don't need to write notes or start your class valentines with, "Have I ever told you?" (although what a great mentor text lesson you might do with this book!). Some key management decisions that you might make for your classroom could easily send that message. Simple things like letting your class plan the Valentine party and how Valentines might be distributed and shared would send the message, "Have I ever told you what great ideas you have?" Establishing a class government system in which every child has a voice and a personal stake says, "Have I ever told you that you can make hard choices and live with them?" Infusing multicultural studies throughout the year, not just during a designated month or week or holiday, will be sending the clear message, "Have I told you how important it is that we all feel honored, loved and respected? All of us!" Showing students the future career possibilities of work that they are doing right now will say, "Have I told you that you can be anything you choose as you prepare for life as an adult?" Letting your kids respond to lessons in multiple ways or to craft responses using their current strengths will tell them that you value their strengths and make them unafraid to try new things and respond in other ways as well. This is a perfect time to stretch our wings with some additional modeling. If we are teachers who respect others, show compassion for all, and truly believe in our kids as learners now and citizens in the future, let's teach it through the opportunities we provide. Love is in the air right now. Let's sprinkle in some positivity, compassion, belief in each other, and trust with what matters. The air has plenty of room and can hold all that and more! Start with a great read-aloud! Click on links above for ideas from Rainbow City Learning on adding more to the air than love this month! 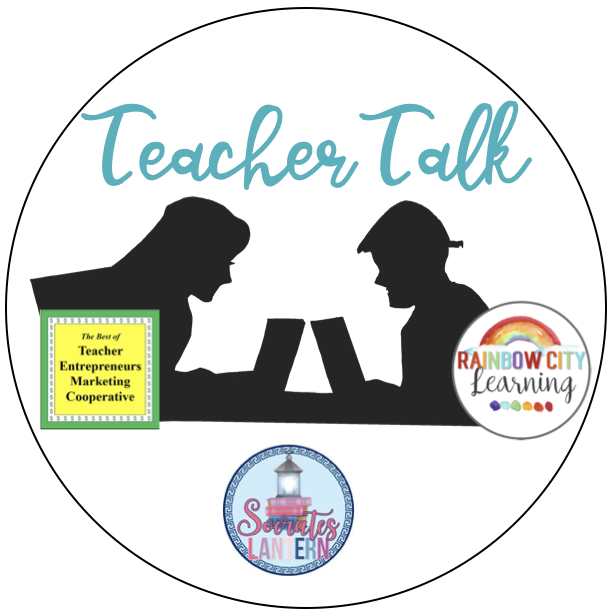 For more great February ideas, be sure to visit all the blogs of Teacher Talk!